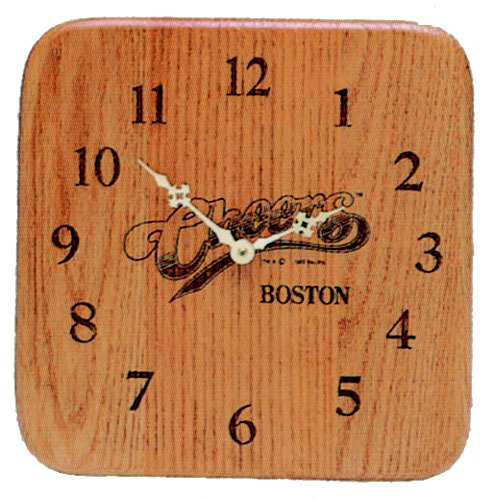 Your logo and graphics on this handsome wall clock will be seen many times through out the day , Hand Made in the USA from solid Appalachian Hardwood, No minimums, price includes the laser engraving. If you need a different size or shape email your specs to us. ** NEED SOMETHING DIFFERENT ** We can design any item to fit your specifications. No art/set-up charges when supplied with Laser-Ready, black on white artwork to size. Art preparation charge of $50.00(a) to layout, enlarge, reduce, or set copy from customer artwork. Creation of laser ready art from photographs or customer sketch will also be billed at $50.00(a) per hour. Most art can be completed in approximately 2 hours. Artwork not reordered within two years will be purged from our files. Re-orders will have no set-up or art charges, providing order is identical in copy and size to original order. Cancellation charges are based on order status & are quoted at time of cancellation. Every effort will be made to ship quantity ordered. However, we reserve the option to ship over by 5%. Shipping is F.O.B. Factory Freight in not included and will be added to your invoice at time of shipment. Spec samples are invoiced at end-column pricing when we are furnished with Laser-ready artwork. Random samples are no charge with factory approval if product is available. If not available, sample will be invoiced at end column price. Custom lasering available on customer's material. Extra parts must be furnished when exact count is required. Parts furnished must be +/- 1/16" in length, width and thickness tolerance. Consult factory for quotation.